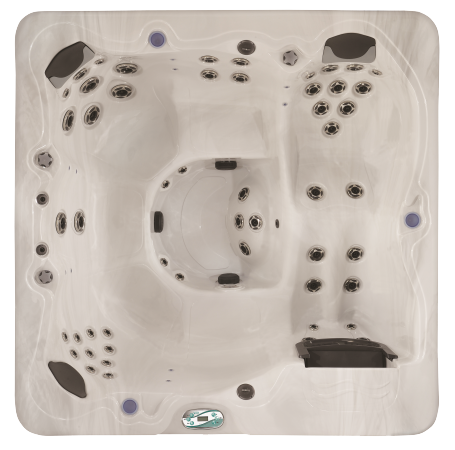 The Vita SpaPrestige is our best selling hot tub, the perfect size for the majority of our customers at the best price. Featuring a total of 6 seats including a full size lounger with 20 jets covering the entire body, the Presitge model from Vita Spas offers great value for money with the majority of the functions and features that our clients want. A total of 62 jets with 3 pumprs means that power isn't a problem, you will get all of the hydrotherapy that you need. There are two further deep hydrotherapy seats in opposite corners plus an additional two cool down seats. Bay Spas recommends the Prestige as it offers value for money, excellent build quality and provides all of the functionality and fatues that the majority of our clients want. It is a fantastic value for money 6 person hot tub and with a full delivery, installation and set up service throughout the south west.